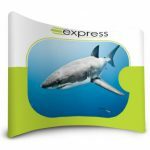 The 3×3 Curved Pop Up Kit is a complete exhibition package, with the professional glamour of a graphic display. You’ll set it up in minutes and it will look great all day. 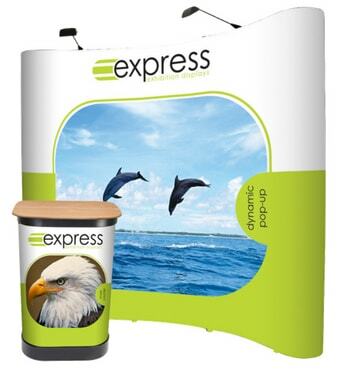 This pop-up stand has a large, seamless graphic area and is a perfect ‘wall’ for your brand. 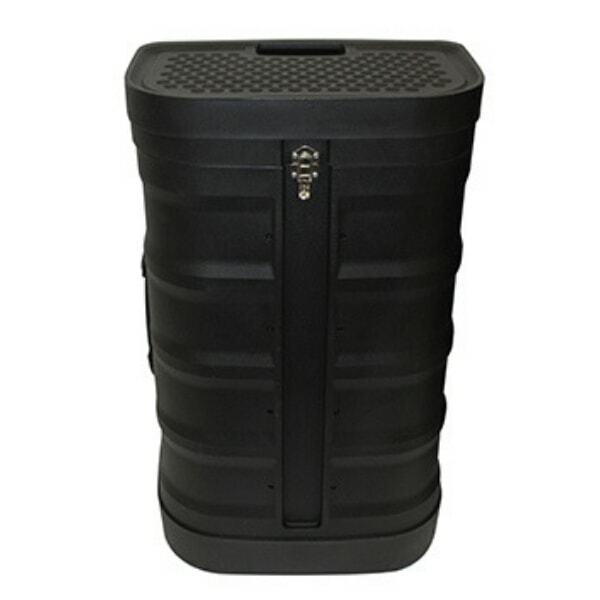 The Dynamic comes with a wheeled case, 2 LED lights and counter-style top. Price includes pop-up stand with fully-printed graphics, 2 LED lights, wheeled transport case with graphic wrap and counter-style table top. Case wrap 785mm high x 1755mm wide; bleed area of 577.5mm required at both ends. Templates: 3×3 Pop-up and Wheeled Case Wrap Template.